Branson has many coffee shops but there are only a few local coffee shops that offer luscious taste. Top coffee shops have the characteristics of offering a great taste of coffee in a friendly atmosphere to relax with friends and enjoy sipping coffee while having a conversation. Below you will find the top 3 local coffee shops in Branson that include Dino’s 24 Karrot Cake Café, Cappucino Country and Gifts, and Heroes Coffee. Beautifully located at the Town Square of Branson Landing, Dino’s 24 Karrot Cake Café is a great coffee shop in Branson where guests can relax on the patio or inside the cosmopolitan-style café while enjoying the best cake or coffee in the Ozarks. Made with the highest quality ingredients, the desserts in this coffee shop are really incomparable. Even cake haters can’t resist to try their flavorful carrot cake or coffee. This coffee shop offers a wide selection of mouthwatering cakes, pastries, and Dino’s signature blend of coffee. If you haven’t tried the taste of the delicious confections, this is now your chance to experience what the people from across the US have been raving about. Try their Gourmet Cakes from Carrot, Strawberry, Coconut Cream, Chocolate Fudge, Italian Crème, Lemon Crème, Red Velvet, Tropical Island, and more – plus brownies, cupcakes, cookies, cake pops, specialty coffees and the list goes on. Cappuccino Country and Gifts is also one of the top local coffee shops in Branson that offers own line of fresh-from-the-farm veggies, jams and jellies and their own country favorites, including Pickled Asparagus, Sweet Jalapenos, Candied Jalapenos, Black Bean Corn Salsa, Pickled Green Beans, Peach Salsa, Pickled Beets, and of course assortment of coffees. Cappuccino Country and Gifts also offers the latest assortment of teas, gourmet food, and even home décor, and fine china. 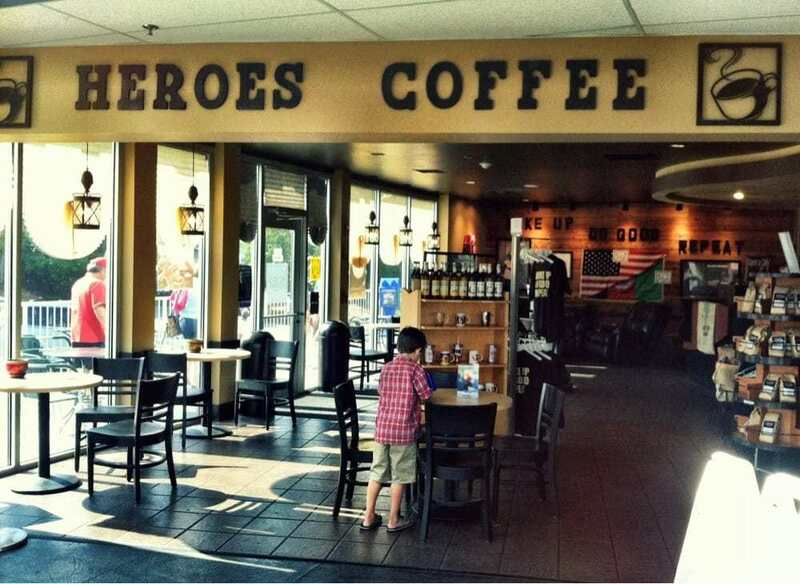 Heroes Coffee is another top local coffee shop in Branson that blends, roasts, and brews gourmet coffees from around the globe, giving back their profits by sharing with humanitarian organizations. Whatever flavor you prefer, Heroes Coffee has a blend to suit your taste. The shop’s artisan roasts with flavors that range from light, citrusy notes to dark to brooding cowbell solos. Heroes Coffee infuses smoothies with luscious fruits, such as pineapples, blackberries, and mangoes. In addition to serving coffee drinks at its own shops, Heroes Coffee also provides other cafes with Astoria espresso machines, paper cups, and shot-put-ready airpots. When you take a vacation in Branson, you will always find it tempting to sip a cup of coffee after shopping or show at some of the top local coffee shops in Branson.